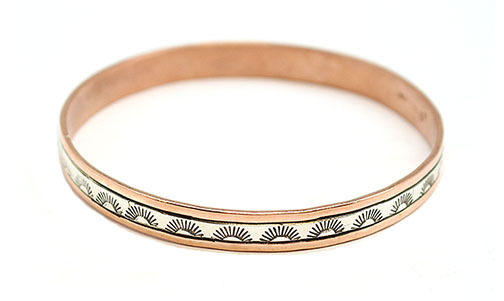 This copper bangle bracelet has a center strip of sterling silver with stamping. It measures a little over 1/4 wide with a 3" in diameter. Native handmade by Navajo artist Wylie Secatero. Stamping will vary.